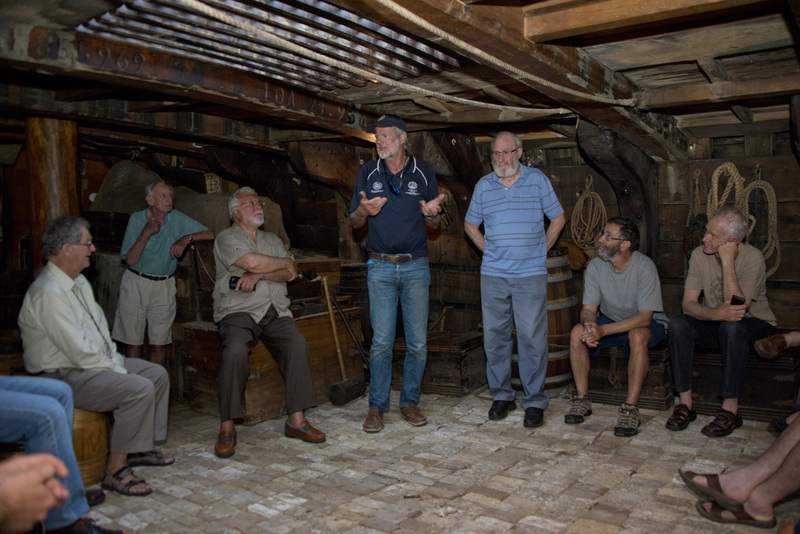 Prior to the General Meeting on 25th November 2014, the OGA paid a visit to the Duyfken replica at the invitation of John Longley, Chair of the Duyfken Foundation and OGA member. 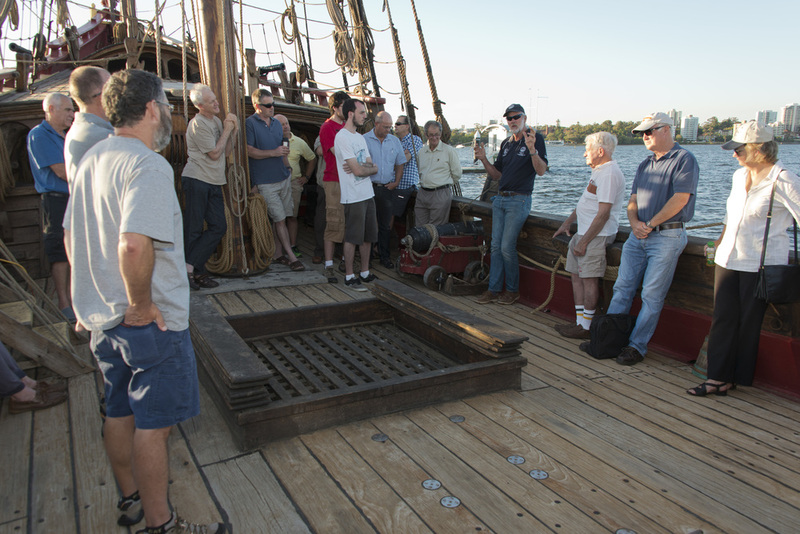 John described the Duyfken and its construction to the OGA visitors. 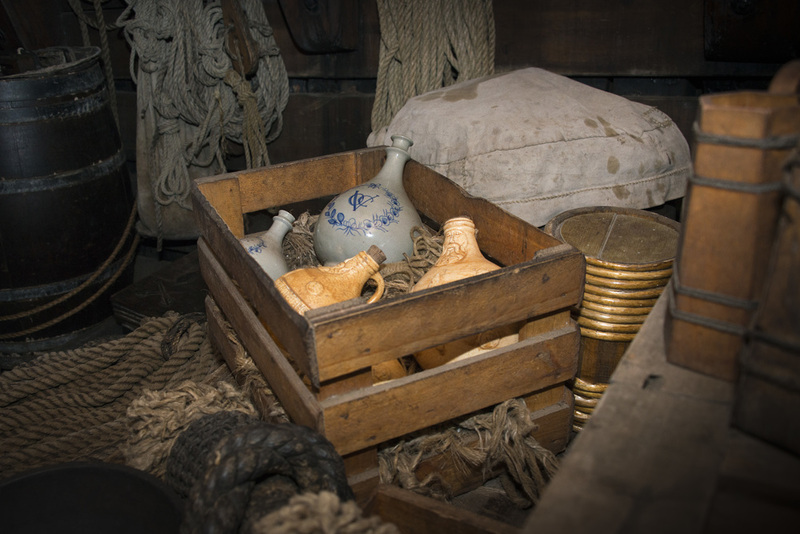 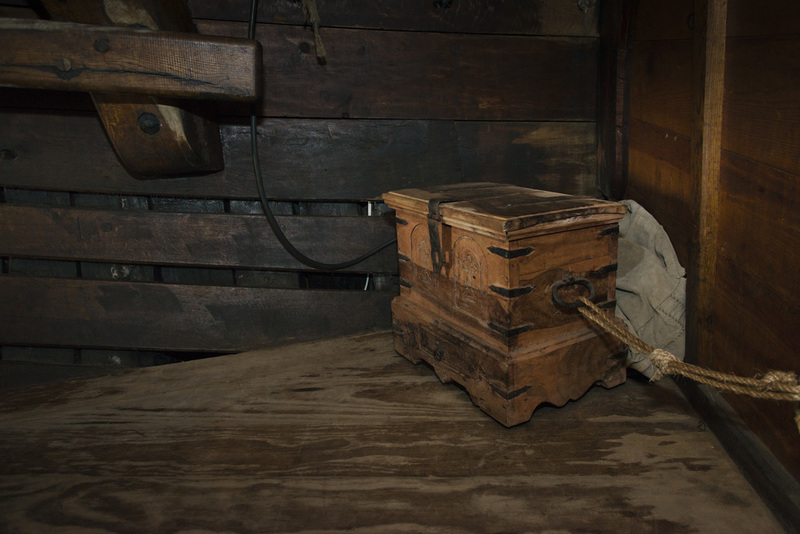 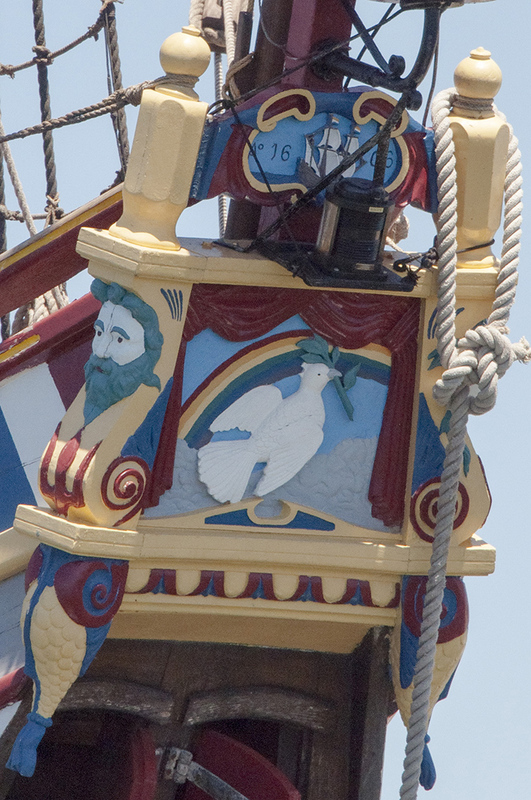 Photographs illustrating the ship were taken by Paul Ricketts and are included with this blog. 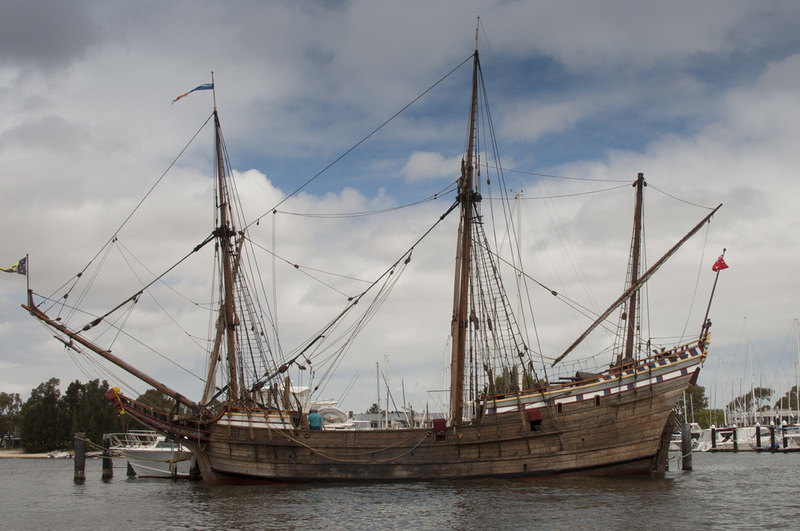 The Duyfken or The Little Dove is a replica of the 16th century Dutch jacht and was constructed and fitted out in Fremantle by the Duyfken Foundation based on plans drawn from accumulated knowledge of the Dutch jacht as there were no extant plans or exact images of the Duyfken available. 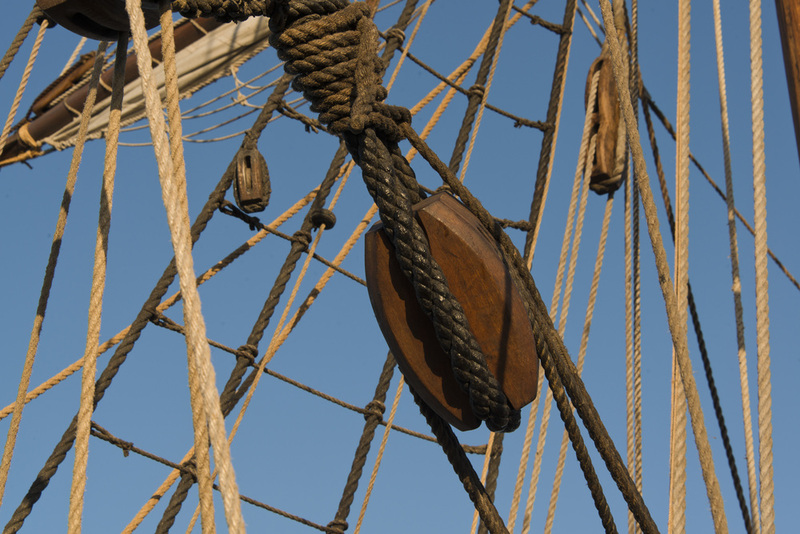 Construction was of the “plank-first” method understood to have been used in the creation of the original. 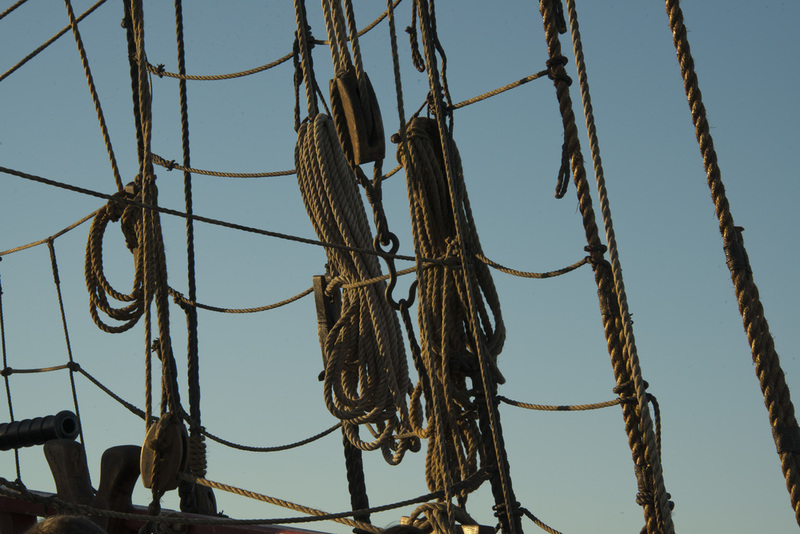 Timber used was European Oak from Latvia. 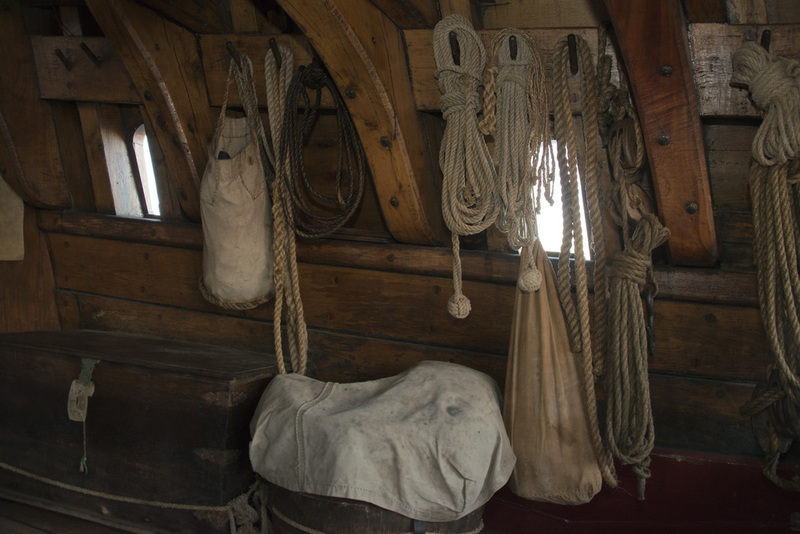 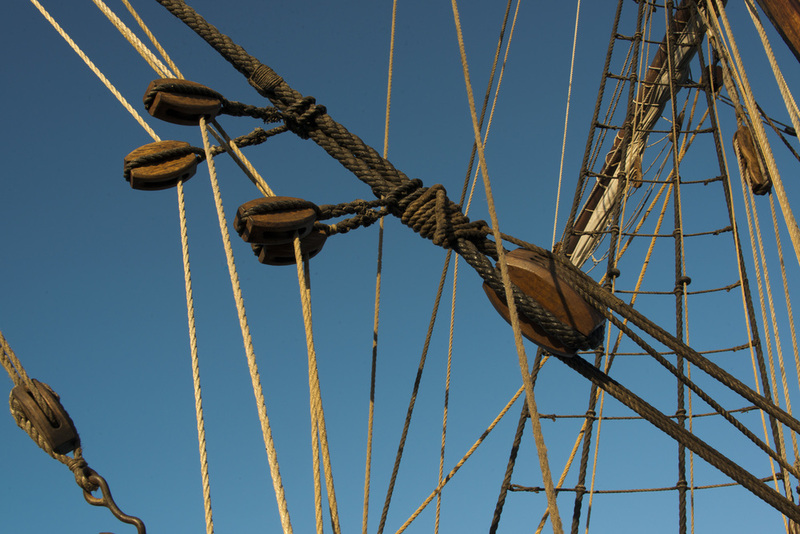 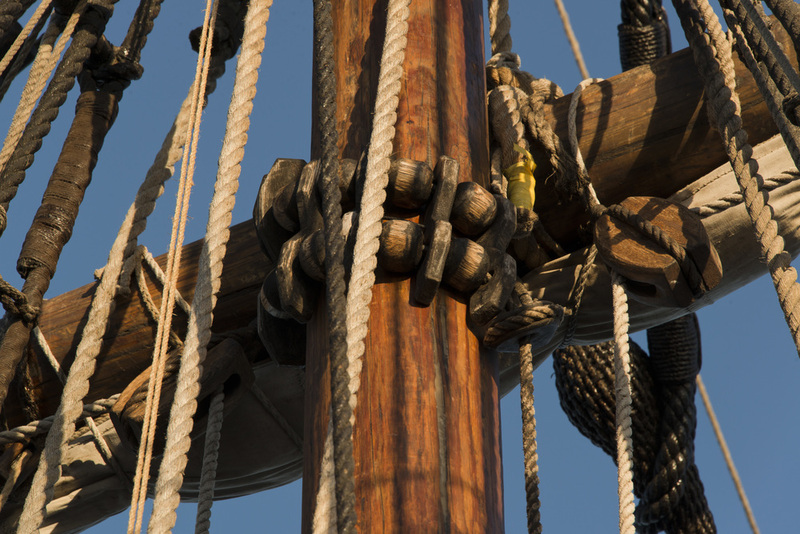 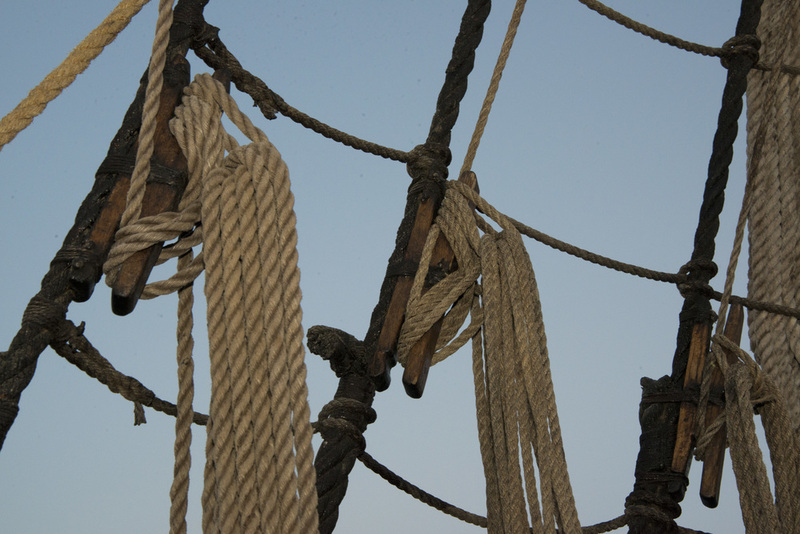 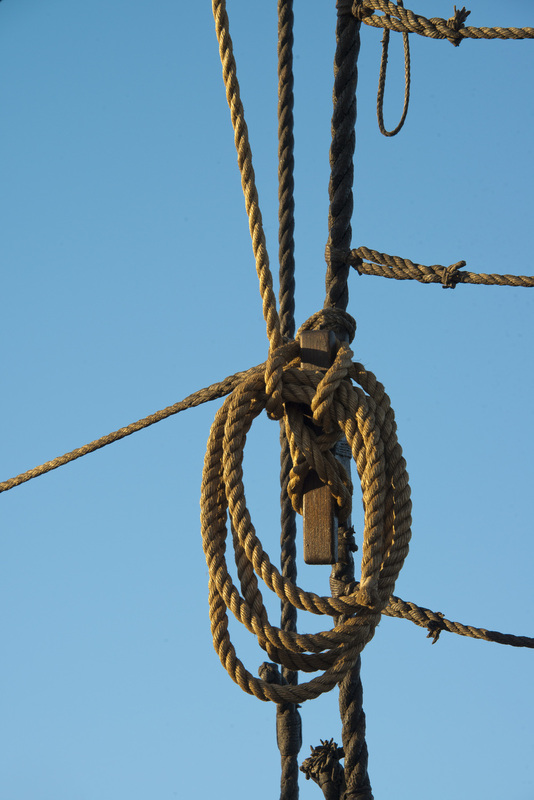 Sails and rigging use natural flax and hemp. 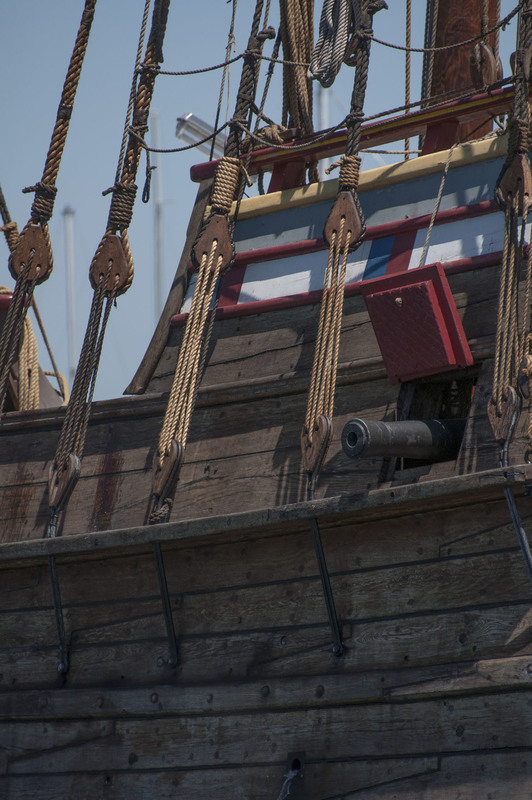 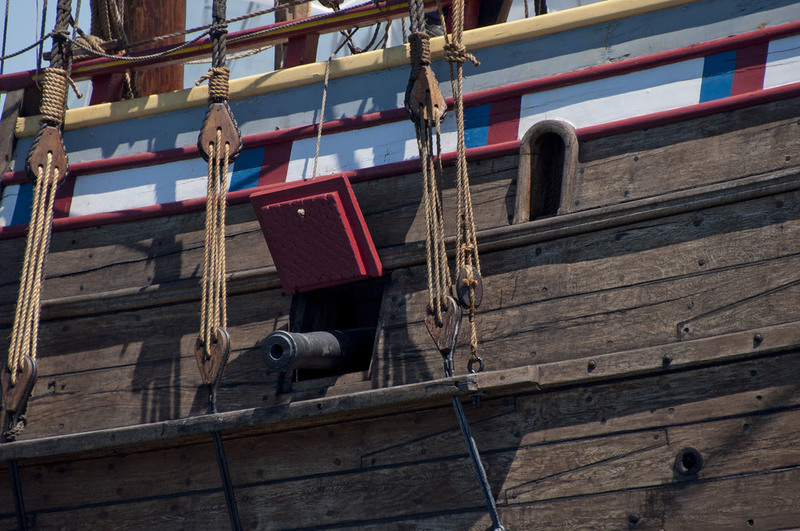 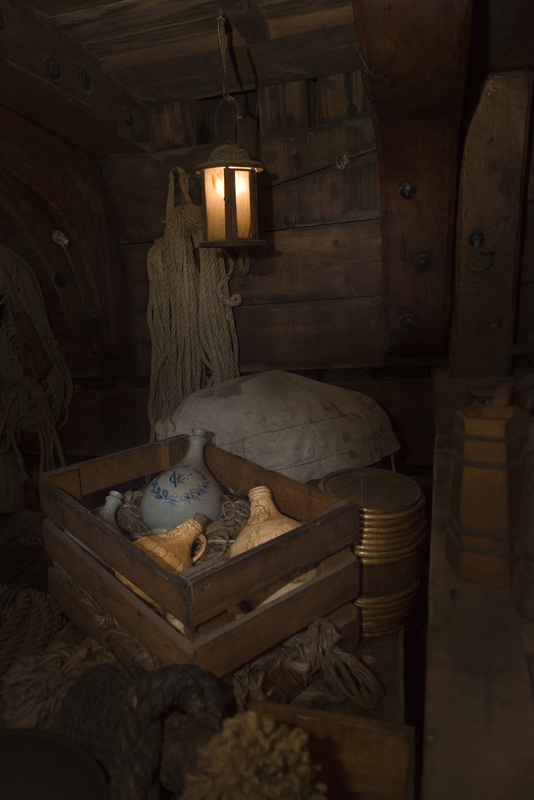 The Duyfken replica is as near an exact replica as possible given information available. 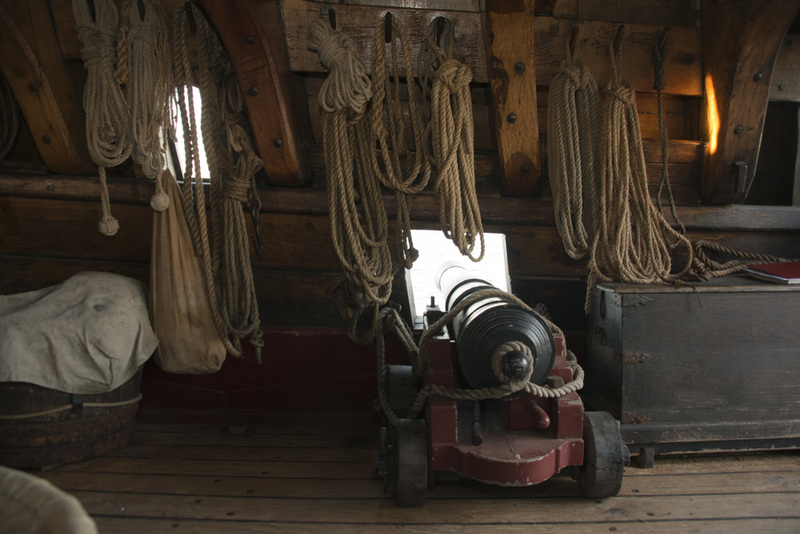 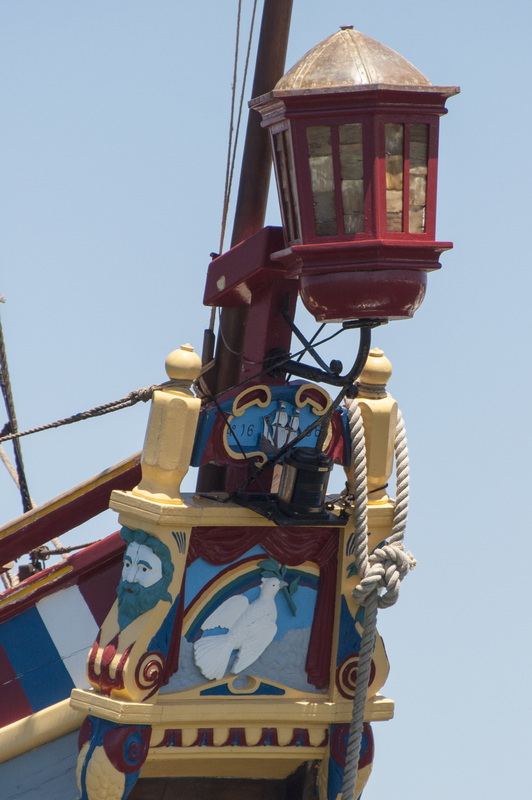 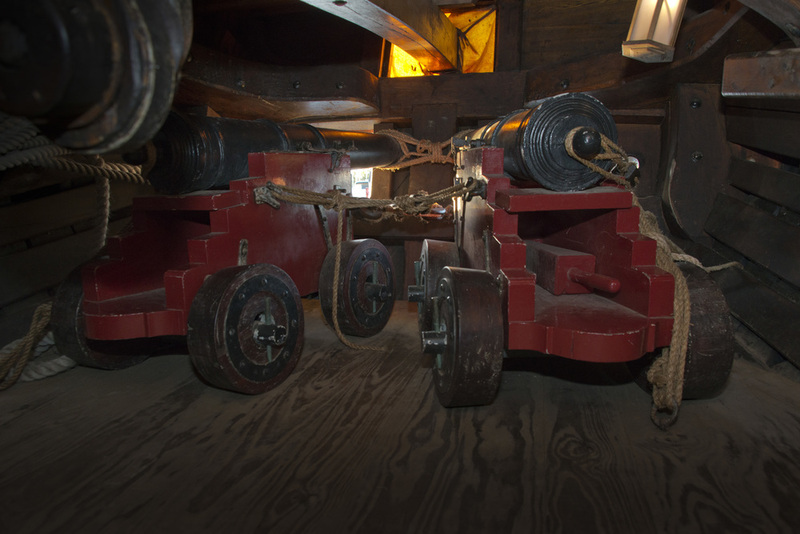 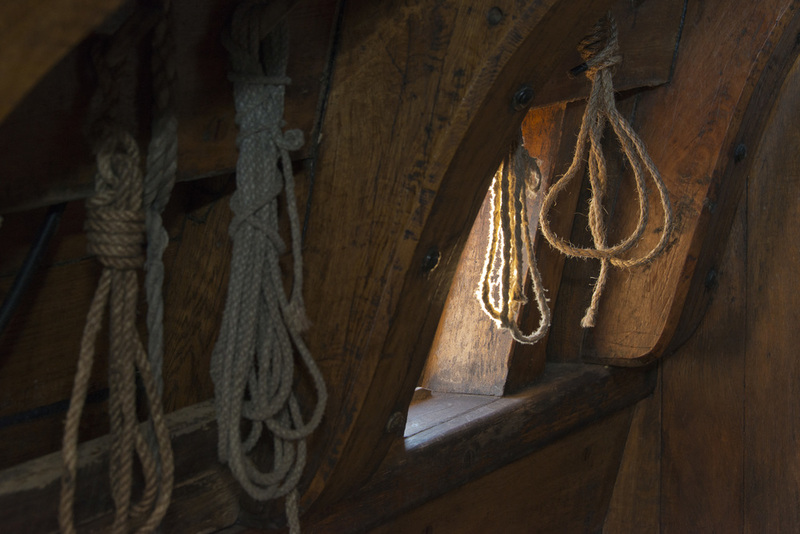 Some of the interesting features of the Duyfken were described including the elm pump for pumping the bilges, Dutch whipstaff steering system, the one and only cabin (captain’s cabin as the crew slept on deck), the galley in the forecastle, the hold which was dedicated to the sole purpose of storage of freight, rigging and sails (discussion on relative performance of natural vs synthetic fibres). 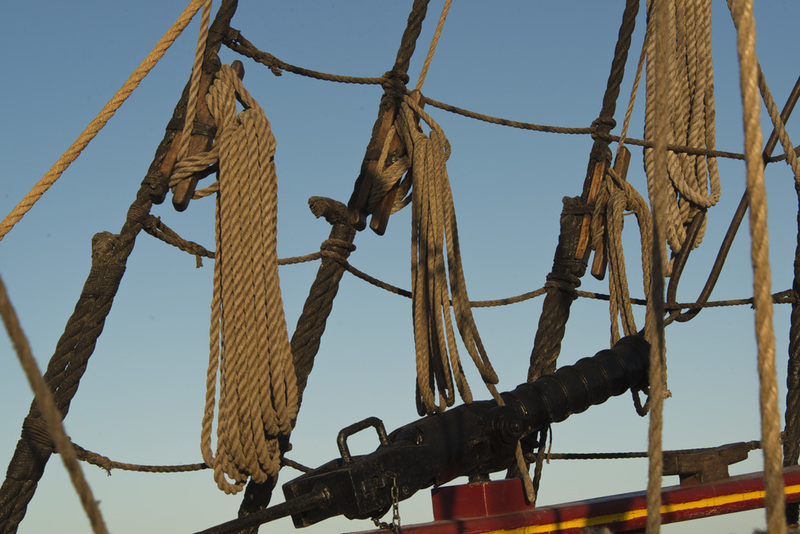 John also appraised the group of future plans for the Duyfken which includes relaying of the deck timbers and replacement of the ballast. 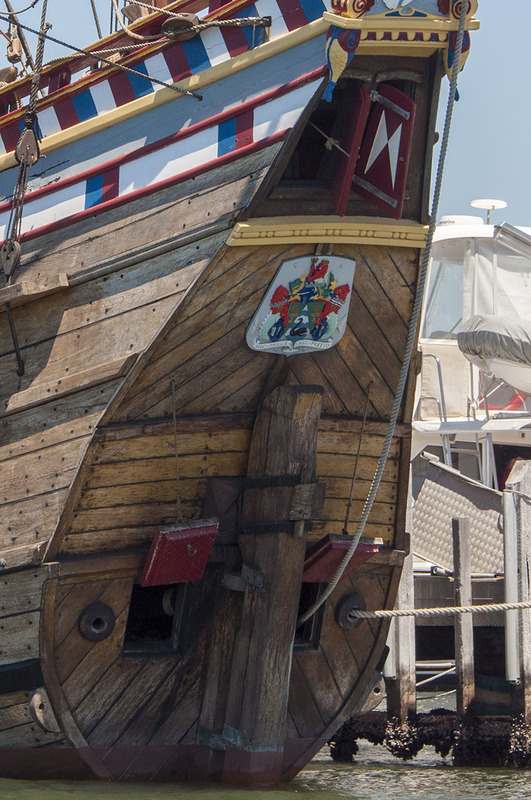 The original Duyfken was built in 1596 for the Dutch East India Company or VOC and completed a return voyage to the East Indies and proved herself to be a fast and manouverable vessel. 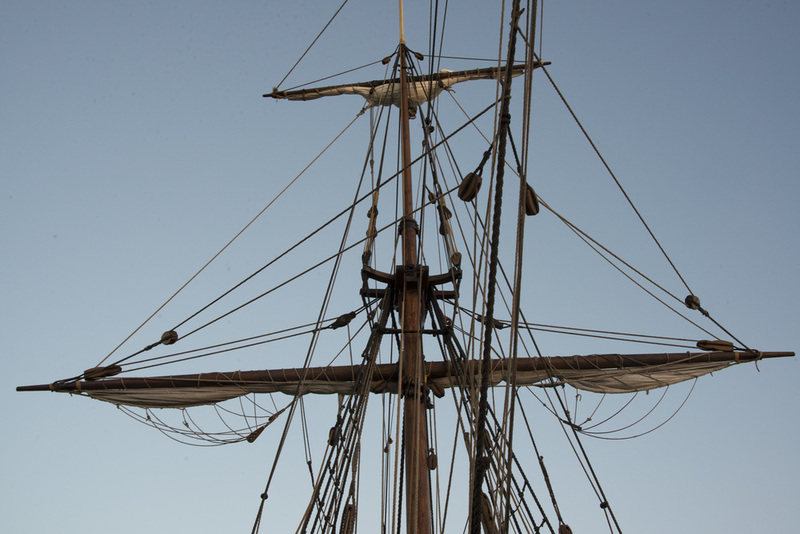 On the second voyage in 1606 under Willem Janzoon, discovered Australia at the Gulf of Carpentaria. 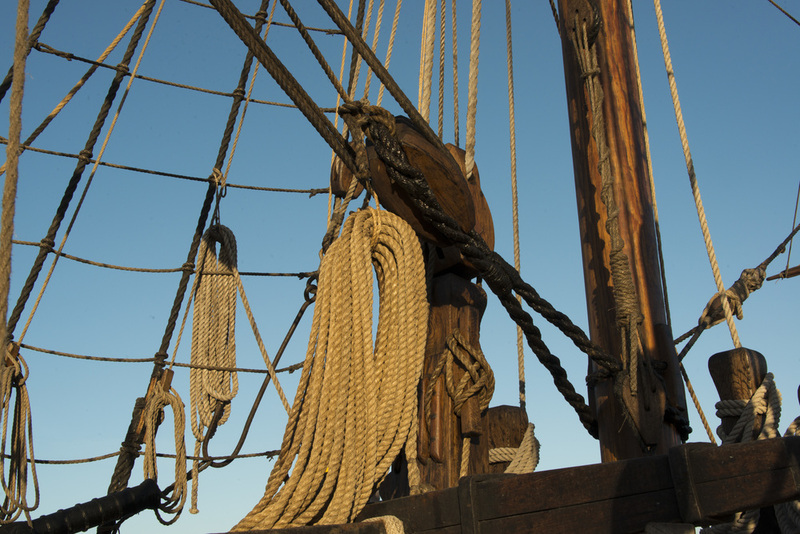 In July 1608 Duyfken was condemned as beyond repair after being involved in a battle with larger Spanish ships. 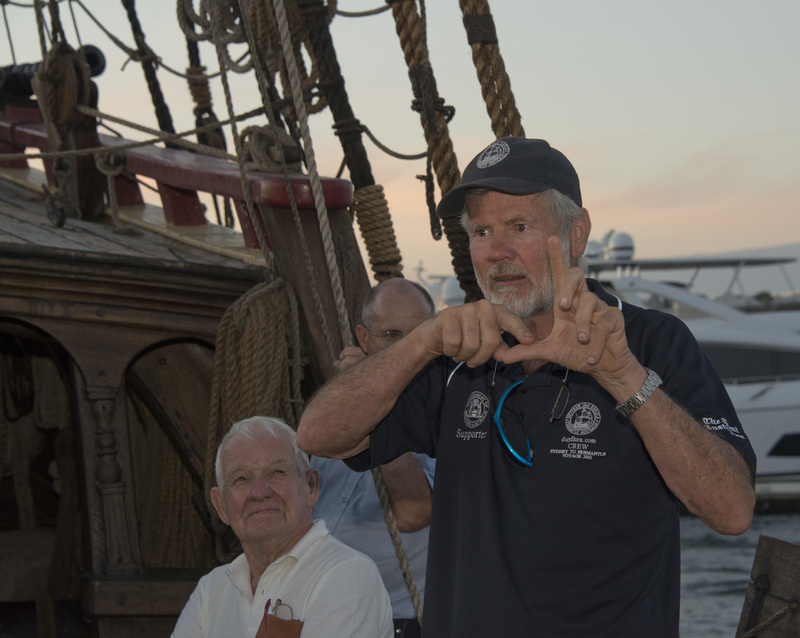 The OGA wishes to thank John Longley and the Duyfken Foundation for the opportunity to visit this remarkable vessel.